We supply and make to order all window dressings to any design and size you require. From our extensive range, we will have a fabric that will suit your needs or you may supply your own fabrics. Our products are not only of the best quality they are also great value for money. We have a variety of options for your bespoke curtains, pencil pleat, pinch pleat and eyelet headers, thermal and blackout lining, we also manufacture all the trimmings, cushions, pelmets and more in house by our trained staff. 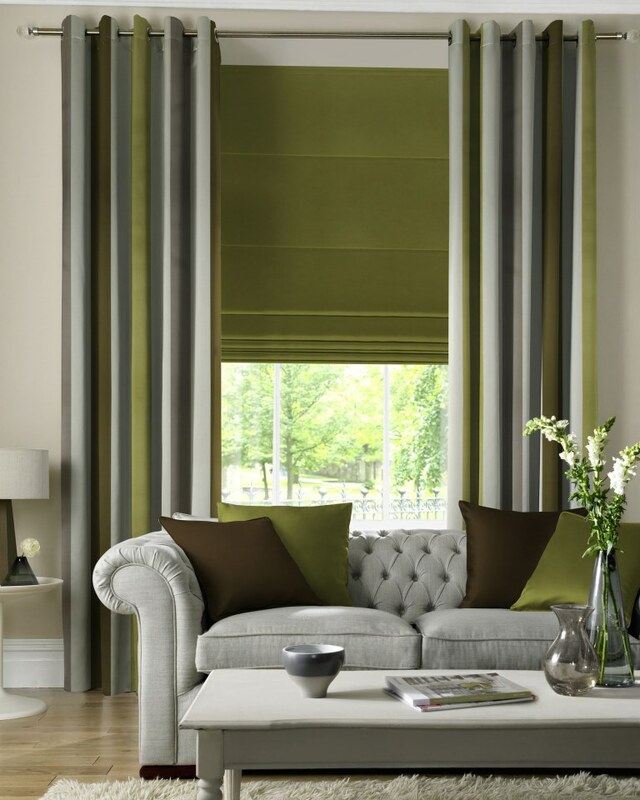 Our custom made to order roman blinds are available in the same great range of fabrics as our made to order curtains,so if you are looking for matching or co ordinating roman blinds and curtains we are sure to have to perfect combination for you. Our roman blinds feature, robust headrails and are all fully corded and ready to install. Our generous collection of made to measure venetian & roller blinds consists of classic and modern designs to suit your requirements.We have 100s of colours, designs, patterns and even textures to choose from.The width and drop are made to your exact specifications. We offer 100s of different styled window poles to suit your room setting from wood to metal we have something that will compliment your settings. All supplied and fitted by our staff.